Are you meeting up with longtime friends like college buddies, family or old friends? A key to a successful reunion is to make sure the location and activities do everything possible to enhance the occasion. There are few locations better than Miami Beach and few activities better than deep sea fishing Miami. Scores of people have chosen deep sea fishing for their high school, college, family or other reunion. The THERAPY-IV offers deep sea fishing and Miami inshore fishing on their amazing deep sea fishing charter boats. The THERAPY-IV boats are both over 50 feet long and have top-of-the-line equipment. They also have incredibly comfortable features like indoor bar a flat screen television that ensures a good time had by all. 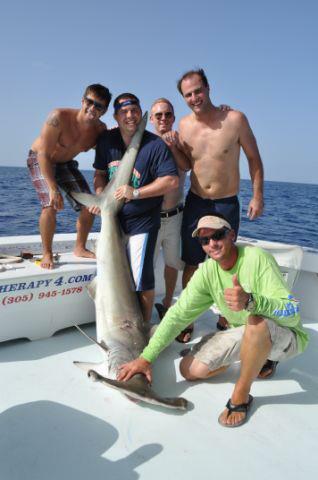 Listed below are popular reunions and why deep sea fishing works perfectly for them. College Reunion – College reunions are very formal events often held on college campuses. But, if you have a particular group of friends you want to spend time with exclusively. It’s probably not at some stuffy ballroom. 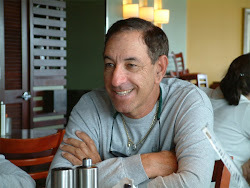 Bring them out to Haulover Marina and take them on an exciting deep sea fishing trip. Whether its six people or thirty, The THERAPY-IV can handle it. If you don’t have enough time to go on a deep sea fishing trip, you can also try our inshore fishing trips. Longtime Reunion – This is a less formal occasion that often involves fewer people but more families. If you haven’t seen someone for twenty or thirty years, they probably have family to bring along. Keeping the kids entertained while getting quality time together can be tough. The THERAPY-IV has enough activity and large enough boats to make that happen. Kids love fishing and memories on these boats can be forged that last a lifetime. Family Reunion – Family reunions are probably the most formal of all three. They usually involve schedules and lots of people. The THERAPY-IV can handle any number of people who would like to put deep sea fishing on their family reunion schedule. It’s often very successful since families like to compete and get trophies like big game fishing mounts to remember their fantastic outings.